Propellerhead Reason 10 – jedan od najkompletnjih DAW softvera koji je danas neizostavan alat velikog broja glazbenih producenata. Sa njim mozete snimat, mixat, komponirat, radit mastering. Mozete koristiti i Rewire konekciju te ga spojiti i kombinirat sa drugim DAW softverom. Propellerhead Reason 10 licenca – ovo je download verzija i posle vidljive uplate na Sonarscope racun dobiva se licenca sa linkom za skidanje softvera i uputsvtom za licenciranje. New sounds and new gear pave the way for new music, and Reason 10 is here with a rackload of new synths, instruments, samples and more. This is Reason’s biggest update. Ever. 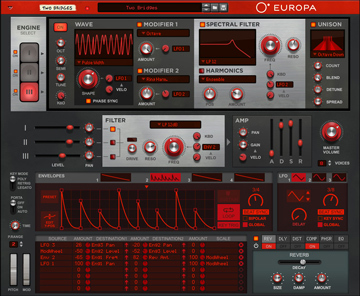 Europa was created for huge, epic sounds and oh boy, does it deliver… From big stacks of buzzing sawtooths to shimmering, glitched-up sonic explorations, Europa has you covered. Get granular with your samples! The Grain synthesizer opens up the world of granular synthesis for your creative use. Drop any sample into Grain and embark on an endless sonic exploration. Glockenspiel, Music Box, Wineglasses and a whole lot more. Tuned percussion sounds are great for creating melody lines or adding an organic dimension to an electronic production. Instruments full of character from all corners of the world. Plucked, pumped, blown or strummed, these instruments will add a new dimension to any style of music. Give your music a human touch with the sound of Humana’s selection of choirs and solo voices. Perfect for soundtracks, epic pop ballads or anything in need of depth and harmony. Update your sound with this multi-gigabyte injection of cutting-edge loops and drum samples made to deliver up-to-date pop, electronic and hip hop sounds for Reason. Based on a custom blend between sampling technology and physical modeling algorithms, Radical Piano affords songwriters, producers, and sound designers an unprecedented level of control to craft a realistic piano that is 100% unique. Bring your music to life with Synchronous. Create quick sidechain effects or draw curves to control filter, delay, reverb, distortion and level. Make your sound evolve, change and loop over time. 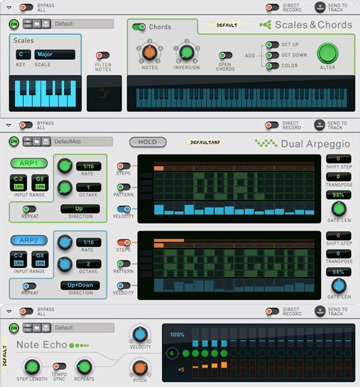 Dual Arpeggio, Scales & Chords, Note Echo – instrument add-ons that will transform the way you play. Reason’s drum machine. 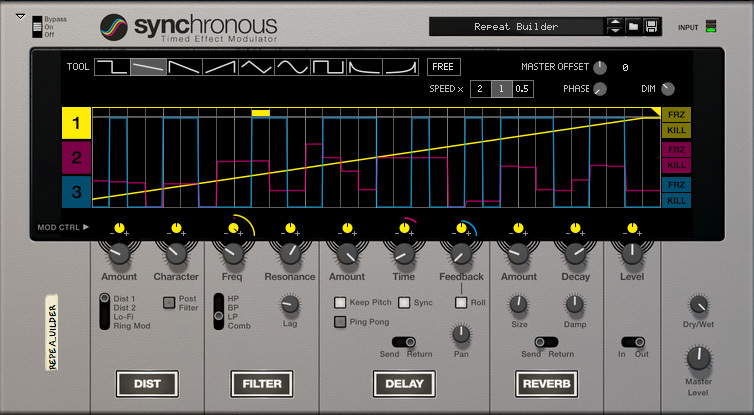 If you like the classic pattern based drum machines from the 80s, then this one is for you. Give your music a human touch with the sound of Humana’s selection of choirs and solo voices. Glockenspiel, Music Box, Wineglasses and a whole lot more. Great for adding an organic touch to your productions. Plucked, pumped, blown or strummed, these instruments from around the world will add a new dimension to any style of music. 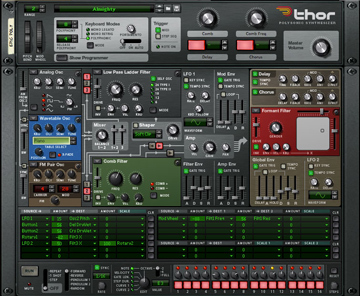 Play gigabytes of rich and complex, multi-layered instruments from the Reason sound bank. Or sample and build your own! 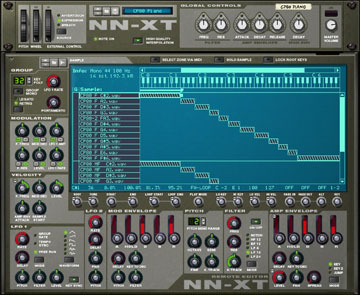 Quick and easy sampler with an intuitive workflow and plenty of real-time modulation capabilities. A songwriter’s best friend. When all you need is quick access to your most used instruments, ID 8 is there for you. Integrate your external MIDI instruments into your Reason productions with the External MIDI Instrument. A classic, monophonic arpeggiator with some creative twists to create arpeggiated melody lines from the chords you are playing. Modular synth-type sequencer that you can use to control just about anything you can imagine. Play baselines, sequence filter sweeps, control panning. Combine, layer and mix instruments and effects to create rich, production-ready and performance-friendly sounds. 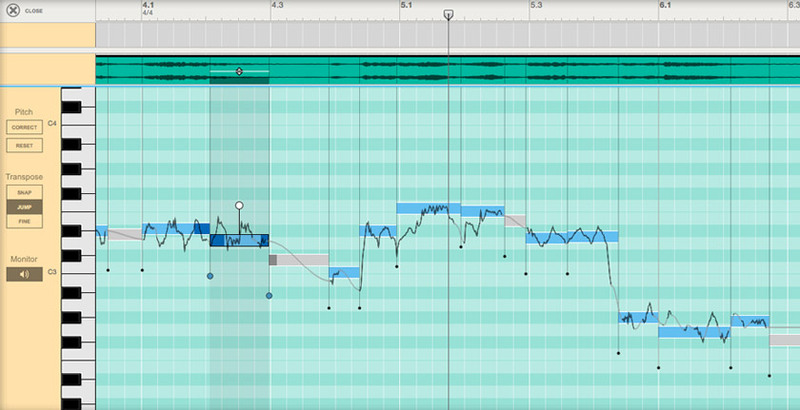 Gently nudge your vocalist’s into key, or go all T-pain on your vocals. 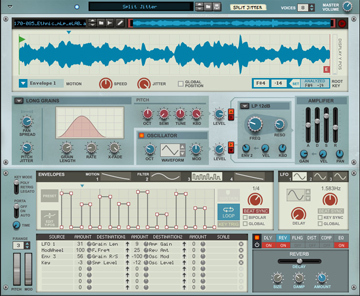 Neptune is also a powerful real-time vocal synth. A multimode sound mangling effect that will do anything from gentle tape compression to full-on sonic mayhem. A CV modulation effect that uses its two LFOs to control parameters in Reason’s other instruments and effects. Applying pattern control to gating, filtering and envelope shaping, the Alligator will happily chew any audio passing through its jaws into a completely new and interesting sound. Capable of far more than just robotic voices, a vocoder is a great tool when you want to modulate one sound with another. Apply your desired flavor of yesterday to your music. VHS, Vinyl, Tape and many more – take your pick! Clean solid lows? Nasal presence? Wildly distorted? Whatever sound you’re after, Bass Amp can deliver. Reason’s rack never seems to end. Capture your ideas with a minimum of mouse clicks. 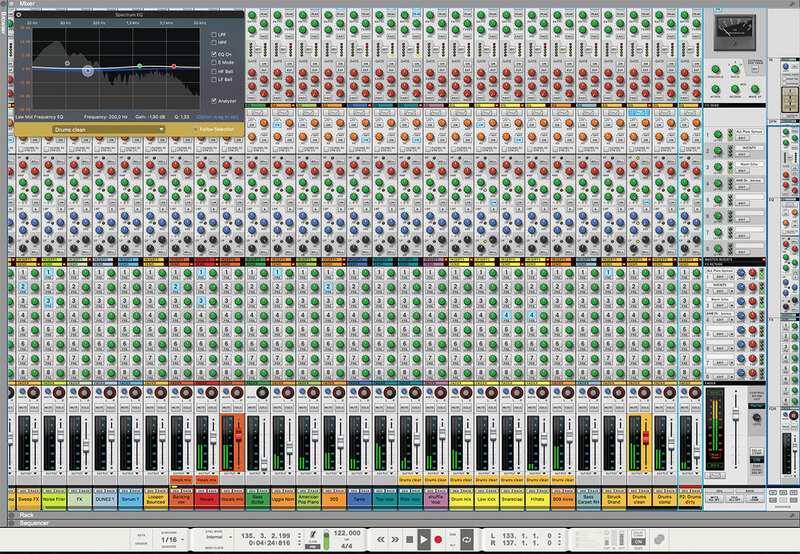 Immediate and intuitive, Propellerhead Reason 10 rock solid audio and MIDI sequencer gives you total control. 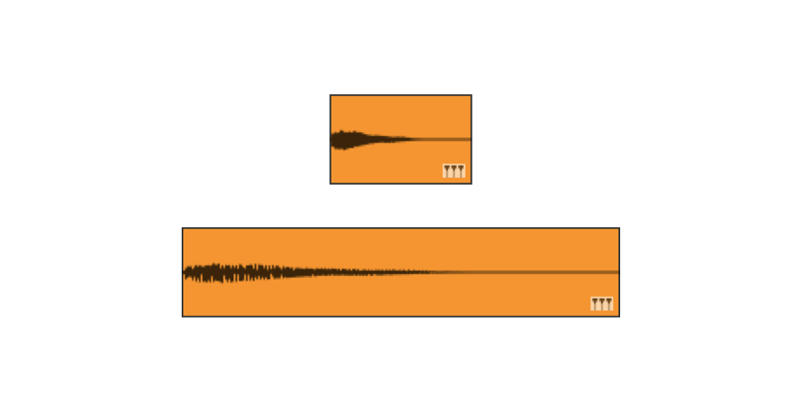 Perfect your vocal takes with Propellerhead Reason 10 Pitch Edit. Easy to use and with natural, transparent sounds, Pitch Edit will let you preserve the energy of a great vocal performance, while fixing any less-than-perfect notes. Take a look at your new virtual studio. Faithfully modeled after legendary studio technology, Reason’s mixer is where you add that final touch to your music. 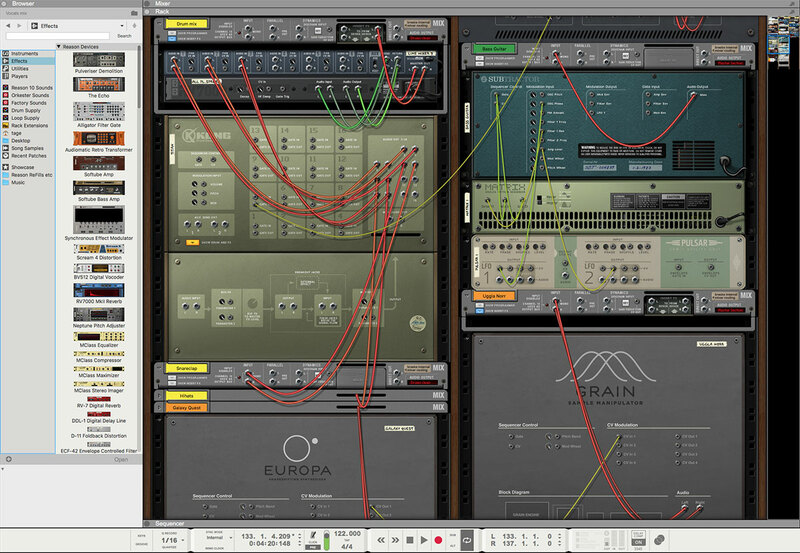 The rack is the heart of the Reason music making environment. 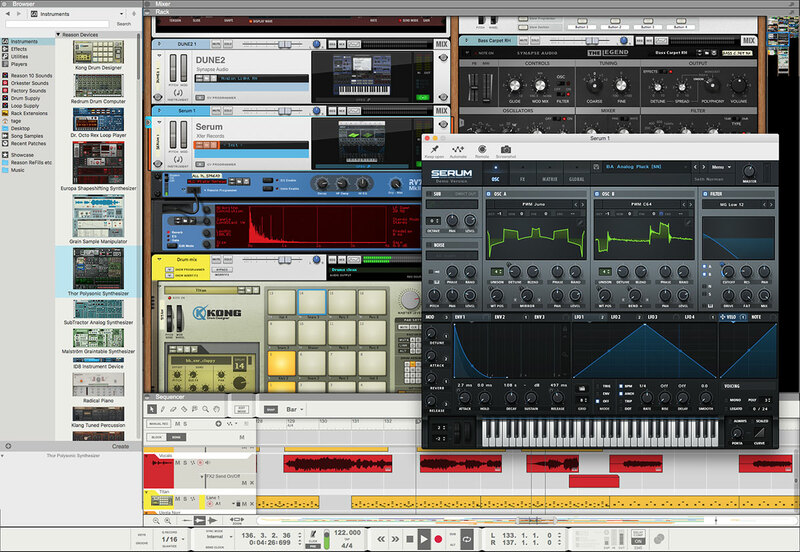 You build your rack as you create your song, adding the instruments, plugins, sounds and effects your music needs. 1. The Browser, where you find your instruments, sounds and effects. 2. The mixer. 3. The Reason rack where all instruments and effects live. 4. The sequencer where you record and edit your music. All instruments and effects are automatically connected for your when you add them to the rack. But if you want to get creative, hit the tab key to flip the rack around and all the cables for audio and control voltage (CV) are exposed and ready to be routed any way you want for fully modular music-making. Learn more about creative flow in Reason. 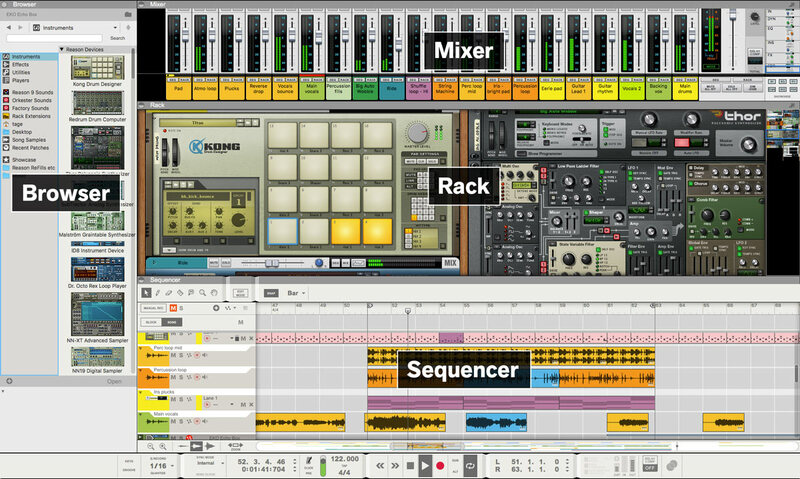 Propellerhead Reason 10 comes with everything you need to make amazing music, but when you want to add more creative options Reason is ready with support for VST plugins as well as Rack Extensions, Reason’s own plugin format.